Members of the Branham family are on hand to welcome you to this lovely Memorial. Here, you will catch a glimpse into the life and ministry of a Prophet of God. You will learn of the mighty Works which Our Lord and Saviour, Jesus Christ accomplished through His humble Servant. As you approach The William Branham Memorial there is no outward sign that the sprawling, one story structure in Tucson, Arizona, is anything more than a Family residence. It has been placed on the property to provide maximum views of both the deeply canyoned mountains to the North and the advancing city to the South. The only indication that this residence is different from the others is the volume of traffic arriving and departing this particular address. It is far heavier than one would normally expect to see in a residential area. And on any given day you may find vehicles bearing licenses from several states parked in the driveway. Still it is not a business, but a home, just as Brother Branham intended it to be when he purchased it for his family in 1964. Brother and Sister Branham searched for months before they decided on the flat-roofed, three bedroom structure of rosy-tinted brick. 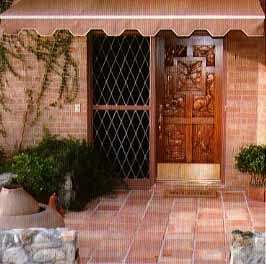 In an area known as Vista de las Candelas, meaning "view of the candles", the house was located on the top of a knoll, and at the end of a cul-de-sac. It was not the most spectacular home in the area, but it was priced right - forty thousand dollars. Most importantly, the area provided a quiet place of refuge for the family. The only thing missing was a den room. But the one acre lot afforded more than enough room to build one. Brother Branham already knew exactly how he wanted it to be placed. It had to face the mountains, so that from the chair in his study area he could see the deep canyons that scored the face of the Catalinas. He had a special reason for wanting it that way. I am lonesome, oh, so lonesome For that far-away southwest, Where the shadows falls the deepest Over the mountain crest. I can see a lurking coyote All around the purple haze; I can hear a lobo hollering Down where the longhorns graze. And somewhere up a canyon I can hear a lion whine, In that far-off Catalina Mountain At the Arizona line. In 1965, while the den was under construction, Brother Branham spoke to several close friends concerning his expectations for his new home in the West. "This place is not for me," he told them, "but someday this will be a Memorial to my ministry." Apparently, in the Prophet's mind, the den would become the focal point of the Memorial. Towards the end of the summer of 1965, the trophies were moved from Jeffersonville to the new Tucson den. Brother Branham personally placed each mount on the wall, arranging them to his liking. 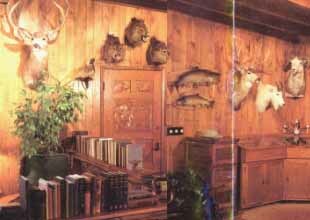 To Brother Branham, the trophies in his den room were far more than just souvenirs of his many hunting trips. Each one was a testimony to the Grace and Bounty that the Lord had granted to him throughout his life, and each held a special significance. 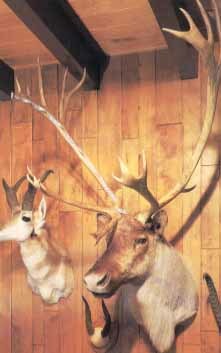 The Caribou and the Bear had been foreseen in a vision; the mule deer had challenged him in the wilderness for fifteen years, and the mountain lion had rekindled the dreams he'd had as a young boy. When it was all completed in early December, 1965, each item in place, Brother Branham looked around the beautiful home and den and said, "This is not for me, it's for my family." Up to this time the Branham Family had not yet moved into their new home. They had planned on taking a short holiday in Jeffersonville, Indiana, and upon returning to Tucson they would take up residence in the new home. On December 18th, 1965, the family left for Jeffersonville. That evening, on the highway near Friona, Texas, the car they were driving was struck head-on by another vehicle, driven by a drunken driver. Brother Branham, Sister Branham, and their fourteen year old daughter Sarah, were critically injured. Six days later, on Christmas Eve, God's Servant and Prophet was called home. His words were somwhat prophetic when he had remarked that the new home in Tucson wasn't for him but it was for his family. But his words were also prophetic when he had remarked concerning the new den room "Someday, this will be a Memorial to my ministry." Did he see a vision? Did the Angel tell him? we don't know - he didn't tell us these things; but we do know that his words have come to pass. Brother Branham did not get to live in the new home in Tucson but his family did. Since 1981, at the time of Sister Branham's passing, George and Rebekah (Branham) Smith and their children have lived in the Tucson home. And the den, into which Brother Branham had put so much work, IS a small Memorial to a Prophet who was a man of the wilderness. 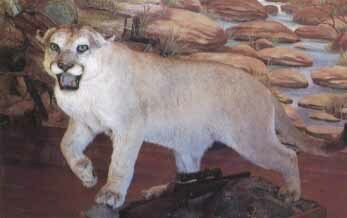 The invitation is extended to one and all to Come, step onto the Welcome Mat, ring the door bell and enter a Lion's den. See and hear the story of what God has done in this Last Age through one man. 3:7 Surely the Lord God will do nothing, but he revealeth his secret unto his servants, the prophets. 3:8 The Lion hath roared; who will not fear? The Lord God ahth spoken; who can but prophesy.